One oral question for me with regard to plans to review and update building regulations. I was able to assure the House that we have already started a review particularly around energy efficiency and insulation standards but I stressed the importance of good building regs in view of the Grenfell Tower disaster. We have been mandating sprinkler systems in flats and HMO and other buildings in public use since 2014, so in many respects we are ahead of the game. I then had to take the Dog (Amendment) Bill 2016 through its third reading which I am pleased to say passed unanimously. This was the last formal Keys sitting until October, although there is a Ceremonial sitting on Tynwald Day. Lunchtime – Speakers lunch, a pleasant lunch hosted by the Speaker. Afternoon – a presentation at DEFA on climate change and the Marine Environment by Professor Steve Hawkins. An interesting overview that included climate change predictions, the most important message for me was that our main fisheries ie scallops and whelks are fairly temperature resilient and should not therefore be badly affected if there is a gradual rise in sea temperature. This entry was posted in Uncategorised on 29th June 2017 by geoffreyboot.org. Lunchtime presentation re the Eastcliffe Day Care Centre provision and Clagh Vane Social Housing Scheme phases 7 & 8. I was disappointed that only 8 of the units out of a total of 49 will be built to silver energy standards as I think government should be setting an example in this respect. Afternoon DEFA CEO meeting and catch up. Tynwald Sitting reconvened at item 9. Amendments to the Equality Bill. Despite the fact that this has now passed I have long thought it is a potential minefield and as we are now moving amendments before the Act has received Royal assent my fears are being realised. Item 17 Licencing and Registration of Vehicles Act 1985 brought forward a lot of debate. As I am in charge through my department of Climate Mitigation Strategy I was in favour of the zero road tax for electric vehicles which falls in line with the UK and the general increase in vehicle licence cost in line with inflation over the last two years. However, some members weren’t and there was a lot of debate. The reality is there are around 200 electric cars on the Isle of Man at the moment against nearly 90,000 vehicles! However a valid point made about having a 6 monthly licence and licence refundable not just on export or scrapping makes good sense. The differential between co2 emissions and engine size which pre dates co2 emissions and still applies to a number of legacy cars i.e. older cars, is not right and needs addressing. Finally I thought the two last items, item 27 structure review of public services would bring forward some debate. Miss Edge who moved the motion had tried on two previous occasions to bring the same forward. The motion was that there should be structural review of employees within the civil services terms and conditions at executive officer level and above and this should be carried out by an independent body which would report to Tynwald in 2018. My feeling was that this is far too larger scale review which would have the potential to cost us hundreds of thousands of pounds, demoralise staff who are in the main hard working and at the point of implementing our Programme for Government. I felt that a sample of positions independently reviewed would be far more appropriate and an amendment carried that the terms of reference timing and proposed cost of structural review should be approved by Tynwald before the review process starts. Finally items 28 public libraries and their value particularly with regard to the mobile library engendered a lively debate with all members seeing not only the educational value but particularly with the mobile library social and community value. Consequently an amendment carried that a committee of 3 members would be appointed to investigate the adequacy and structure of funding of library provision on the island and report back by June 2018. From my experience of the libraries in the UK I believe this is a sensible way forward and will look at using libraries for community services that we have etc, which may give them a new lease of life. Lunchtime saw me at the first meeting of the select committee appointed yesterday to review the functions of Tynwald setting out a timetable which is quite tight. Sitting resumed at 2.30pm but finished just after 3pm, then to Peel for a meeting with Ellan Vannin Fuels firstly at their Peel depot then to their offices in St Johns. An interesting meeting, they are an off island owned subsidiary. They were very keen on their community involvement credentials as well as sourcing much of their shop produce locally and sponsoring in a low profile way at many local events. 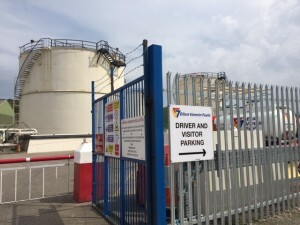 From an environment point of view I was interested to hear that there is a new form of diesel available (GTL) which I hope will in due course come to the island that offers reduced emissions of regulated pollutant such as nitrogen oxides particulate matter, carbon monoxide and unburned hydrocarbons. This is apparently being rolled out in Europe and UK as a friendlier version of conventional diesel which may help lessen the vilification of diesel cars. It also gave Minister Harmer and myself an opportunity of teasing out the Foxdale Post Office situation. Instead of closing the Post Office counter in September Ellan Vannin Fuel have now agreed to keep the same open until the end of the calendar year and as part of the shop refurbishment the shop will include a Post Office counter. However negotiations with the Post Office will result in either 3 full days of operation or 6 half days and the community have been asked to respond to this. We are informed that if sales are maintained or improved then the Post Office counter will remain open. So it’s now up to residents to use it or lose it. I thank Ellan Vannin Fuels for at least giving the Post Office counter a chance of proving itself. This entry was posted in Uncategorised on 23rd June 2017 by geoffreyboot.org. A fairly full order paper with a number of substantial items requiring debate. Some 15 oral questions and 4 written questions. 3 oral questions for me – the first with regard to the disposal of former coal gas sites. I was able to offer assurance that these are the subject of interest from three areas in my department, The Health and Safety at Work Inspectorate, The Environmental Protection Unit and Planning and Building Control. The second, a question regarding progress made with the Climate Challenge Mitigation Strategy, this was approved in July 2016. I pointed out there has been a general election, as well as preparation for the Programme for Government to identify priorities. Meanwhile, whilst this has led to some slippage the core initiatives are alive and well and we have recently restructured the department to develop an Ecosystems Policy Group charged with delivering the key objectives. My personal feeling is to get people to buy into cleaner technology and less fossil fuel requires cost benefit to enable a win win situation and these technologies are now becoming available. The third, a question regarding government policy on biomass for communal heating systems. We now have 6 schemes up and running, it’s fair to say there have been teething problems particularly with regard to woodchip size and quality as well as bunkering problems. We are now working with users and hope that most of the problems are behind us. The present schemes are now using nearly 900 tonnes a year reaching a critical mass in terms of scale. The use of biomass ie trees produced on island insulates users against fossil price fluctuations and in addition helps the environment. There are a lot of trees coming to maturity and Phytophthora has resulted in a large amount of diseased larch being available for fuel. This is all circular money but of course it must stack up in cost terms for the site operators. The main paper contained a number of lengthy debate items not least the review of the functioning of Tynwald looking at the recommendations by Lord Lisvane. Fortunately members decided to adopt a pragmatic approach and after long debate went with an amendment that in essence refers all the recommendations, which are lengthy and interrelated, to a Select Committee of which I will be a member. My take on the situation is that this report was prepared under another administration with a completely different culture, we now have 12 new members, a completely different feel to government and as such if the report was prepared now the conclusions maybe completely different. The committee will enable evidence from new members that may well result in pragmatic changes to the way we function but not kneejerk wholesale change. As I found working with the Commonwealth Parliamentary Association we are seen as a beacon parliament and the last thing we want to do is regress rather than move forward with positive evolution. The report from Tynwald standard and members interest committee contained some substantial and interesting recommendations. The final item we debated before recess at 8.45pm was the Select Committee report on the organisation and operation of the general election. All but one of the recommendations were accepted and that one revolved around making marked registers available to candidates from previous elections and this we were advised conflicted with data protection principles. This entry was posted in Uncategorised on 22nd June 2017 by geoffreyboot.org. Morning meeting with SNX and Associates who offer building sustainability compliance, combined with energy assessment and management renewable technology, passive and eco housing and LED lighting. A comprehensive run through of just what is technologically feasible which plays right into the Programme for Government department commitment to an energy saving initiative. Some useful ideas gleaned and another step in the right direction. Tynwald Mills to open the 4th Fishing Science Symposium hosted by DEFA. A good turnout aimed at breaking down suspicion between the fishing, science community and DEFA as regulators. 10.30am Environment and Infrastructure select committee public hearing. Grilled along with my CEO Richard Lole for 2¼ hours an all aspects of DEFA operations and particularly with regard to our Programme of Government commitments. It actually proved to be quite a good review of where we were. Final meeting for the day at DEFA HQ with the Isle of Man Creamery to discuss their pasture promise and accreditation process. This entry was posted in Uncategorised on 19th June 2017 by geoffreyboot.org. 8.30am start, Environment and Infrastructure Planning Sub-committee – working hard on the potential model for future planning on the Island, followed by Council of Ministers meeting, another lengthy agenda covering among others the Tynwald order paper. Later afternoon – meeting at DEFA HQ with my CEO in preparation for the Environment Infrastructure Select Committee public examination tomorrow morning. This entry was posted in Uncategorised on 16th June 2017 by geoffreyboot.org. Another early start. DEFA Department Policy and Strategy meeting. A number of fairly complex papers and some in depth discussion followed by a full Department meeting. Unfortunately at lunchtime no sandwiches as they had run out so straight into a Fisheries Directorate meeting where among other things decisions were made based on the new Scallop Board recommendations for the opening of the Queenie Scallop season. Followed by the Agricultural Committee. Early evening – Peel Regeneration meeting at Peel Town Hall. Pleased to be able to report that work has almost been completed on the Market Place scheme and the extended areas. The next phase of work which unfortunately will result in some road closures will begin in the periphery streets such as Castle Street where they will be planed down and resurfaced – one could say not before time. I really hope this will improve the area around Market Place running down to the seafront and then the next stage will be to complete improvements and renovation to Michael Street. First House of Keys sitting for two weeks. From my perspective a busy order paper, 28 oral questions and 6 written. I answered two questions on my function as the final arbiter of planning appeals. I got the feeling that the member asking the questions didn’t understand the robust nature of the process, which I have recently strengthened by taking legal advice on cases from the AGs Office. This will ensure that the as office will defend the case should it result in a petition of doleance. Planning is very subjective and relies heavily on how you weigh different material considerations, this can be somewhat confusing to people not familiar with the system. Department member Mr Perkins in his role of Chairman of the Office of Fair Trading had a number of questions with regard to Manx Gas. It seems to be open season at the moment as they have recently raised their prices but as he pointed out there were price reductions last year and in addition compared to gas prices in the Channel Isles the Isle of Man fares well. That’s not to say that the promised review of the regulatory structure will not see better prices. I was tasked with taking the Dog Amendment Bill 2016 clauses through an amendment to include mandatory DNA testing which was withdrawn when I gave an undertaking to review the situation when we get further data from other jurisdiction who have recently introduced the same. However in the next short while the old paper dog licences will vanish and all dogs will have to be microchipped, which will be far better for traceability of lost or stray dogs or dogs that are stolen. At the same time will save owners money as the microchip is a one off whereas the old licence was renewable annually. The day finished at nearly 7pm after a late department meeting discussing environmental matters. Back to work with a vengeance – it’s surprising what builds up when you are away for 11 days even when you are dealing with emails and correspondence at arm’s length. Spent the morning catching up on constituency correspondence and department business. After lunch into DEFA in preparation for the Dogs Amendment Bill and questions for Keys on Tuesday. Constituents visit followed by early evening visit to Patrick Commissioners Foxdale to discuss the closure of Foxdale Post Office. There was a lively discussion and I put it to the operators of the petrol station/shop that when the road opens in 6 to 8 weeks’ time they perhaps give the Post Office 3 months to see whether it can be profitable because at the moment the evidence presented does not make it look viable. That will enable the community if it so wishes to rally around and improve viability, if that doesn’t work there is an indication that stamps and parcel collection will remain within the enhanced shop area. This entry was posted in Uncategorised on 14th June 2017 by geoffreyboot.org.